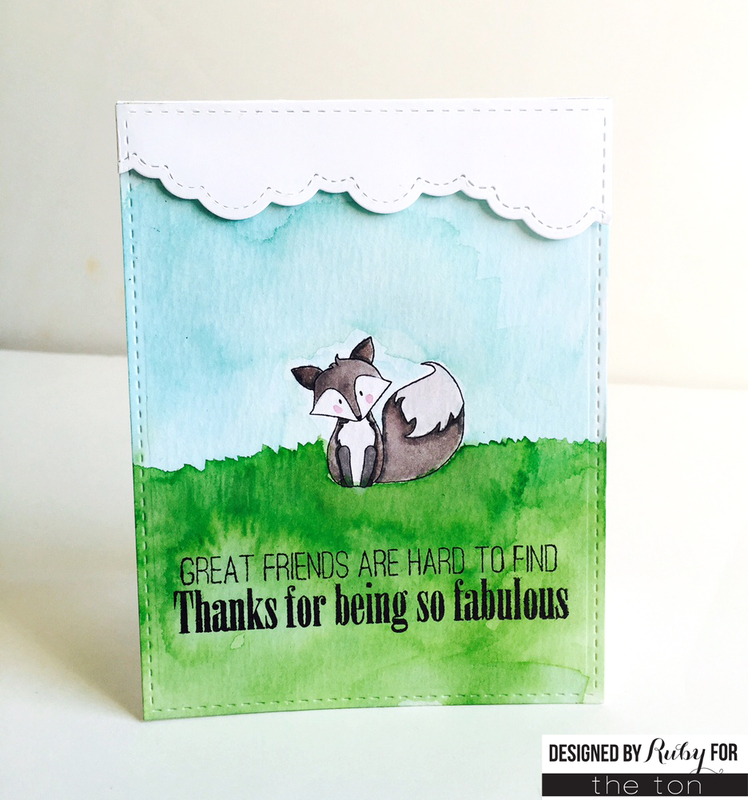 Rubeena here with a focus on Hey Foxy! I have two watercolored scenes to share with you. For the first one, the fox is alone and super adorable. I watercolored him using distress inks. I stamped the sentiment from Shoe Wardrobe 2d. Ed. Solid (masking off the first line). I die-cut a piece of white cardstock for some clouds and used foam tape for dimension. 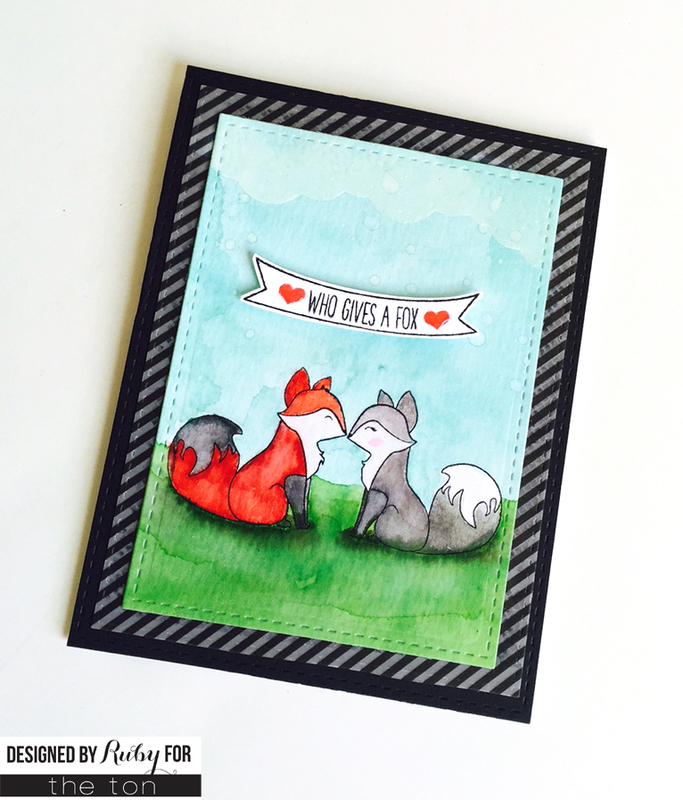 For the second one, I had to stamp two foxes in love! These were also watercolored with distress inks. I used the cloud negative to ink up the top of the card with VersaMark ink and heat embossed with clear embossing powder. It gives it a subtle cloud look. The banner and sentiments were stamped on white cardstock, fussy cut and added above the fox with foam tape. Thanks for stopping by today. Stay fabulous, friends.